Did you know one of the highest grossing feature films of the 20th century was a children’s cartoon? It wasn’t a CG superhero spectacular, but rather the 1994 hand drawn Disney classic, The Lion King. Earnings for the movie continued to swell into the 21st century; reaching nearly 1 billion dollars as of 2011. It is now the highest-grossing hand-drawn film in history. Combine the movie’s success with the hit Broadway production that followed and The Lion King might be the most profitable story of all time. It is a story that captured the hearts and imaginations of children and adults alike–as well as box office proceeds. Who could forget the epic setting? Seeing the sunrise over the Pride Lands of Africa with the chants of the theme song ringing in our ears (Nants ingonyama bagithi Baba) as the original lion king, Mufasa, appears (voiced by none other than James Earl Jones). The story began with a heartwarming opening; Mufasa and his mate Sarabi gave birth to a baby lion cub named Simba, Mufasa’s heir. Simba was destined to be the “Lion King” after his father. At least that’s what was supposed to happen. There was just one little problem—enter the villain, Scar [boo hiss]. Scar was Simba’s Uncle, Mufasa’s jealous brother who had always wanted to be King. So Scar hatched a perfectly sinister plan, killed his own brother, blamed it on Simba, and then sent Simba running into the wilderness out of shame and fear. The heartless antagonist finally slithered his way onto the throne and quickly ran the Pride Lands into ruin. This is the conflict of our great story. Meanwhile back in the wilderness, Simba grew up away from the new struggles of the Pride Lands and learned a life of “no worries” (hakuna matata in Swahili). His teachers were an unlikely duo, a warthog named Pumbaa and a meerkat named Timon. However, easy street would not last for Simba. His real identity and destiny would soon catch up with him; with a little help from his childhood friend Nala, a baboon named Rafiki, and an epiphany of his father that affirmed his calling. Simba came to realize that he was the rightful king and had no choice but to return home, over throw his uncle, and restore the land that his father loved so dearly. Which is exactly what he did—curtains close, much applause, and 1 billion dollars in the bank. It is a great story, but there have been many of great stories through the years that were not nearly as popular. Why do we love this one so much? What is the secret to its success? Was it Disney’s marketing or the soundtrack that we already mentioned? Certainly those things helped, but there has to be something more and there is. The reason we love The Lion King is because the greatest story ever “sold” reminds us of the greatest story ever “told.” A son who is a King returns to a land and a people whom his Father loved. Although they had been abused and corrupted, he came to rescue and restore them. 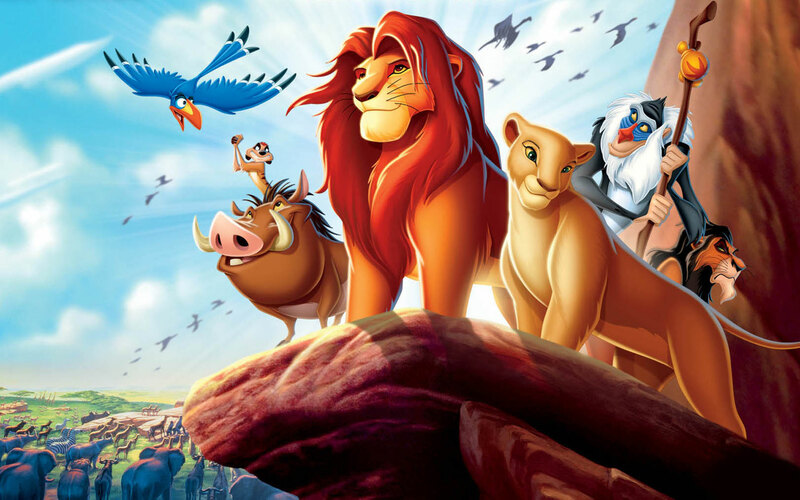 We love The Lion King because it reminds us of the King of Kings, the One we were created to worship. Our hearts sore at the mention of this storyline because they were hardwired to recognize it. Like the animals of the Pride Lands, our existence as humans made in the image of God has degraded to a mere shadow of what the King created it to be, and we too long for restoration. But in spite of all our efforts, we cannot change ourselves or our circumstances. We need to be rescued. We need the King to return and restore us—the real Lion King, the Lion of the Tribe of Judah (Revelation 5:5). We love that story because it is our story. It is the gospel story. This is where our good news comes in. The King has returned. King Jesus has come to rescue and restore our hearts and He will come again one day to restore our world. That is a story that we never tire of hearing. It is one that our hearts need to be reminded of over and over again. It calls to us—even if that call comes in the form of a children’s cartoon. Next Next post: Is Ignorance Really Bliss?